At the Santa Monica Laser and Skin Care Center, we offer a variety of aesthetic services for patients in greater Los Angeles, including Brentwood, Pacific Palisades, Bel Air, Beverly Hills, Manhattan Beach, Venice, Westwood, and Malibu. Consult our menu below, and visit each individual page for detailed information. Contact us today for an appointment with our aesthetician for your favorite spa treatment. Our signature facial incorporates six of our favorite facial techniques, including light microdermabrasion, glycolic acid, ultrasound, microcurrent, and oxygen. LED lights provide a warm and soothing completion to this facial for 1-1/2 hours of total relaxation. The result is healthy, glowing, vibrant skin. This facial not only enlivens the skin, but it also firms the facial muscles for a quick and subtle lift. It uses microdermabrasion and LED light to give you a more youthful glow. It is 1-1/2 hours of pampering. Microdermabrasion with diamond dust smoothes fine lines and wrinkles, and stimulates the production of collagen and elastin. Combined with a post-microdermabrasion facial treatment chosen for your skin type, your skin will be soft and rejuvenated. A mild glycolic acid peel makes dull skin look more vibrant, while also improving acne, shrinking pores, and reducing brown spots for a more even skin tone. It is especially good for oily skin. Medical grade oxygen with 87 vitamins, minerals, enzymes, and amino acids is used as a finishing touch to all of our facials to nourish and hydrate the skin, reduce fine lines, and create a sterile field. This hour-long facial consists of cleansing the face and neck in preparation for an aromatherapy steam treatment to extract impurities from the pores. A Vitamin C mask tones, firms, and polishes the skin. Our men’s facials are hour-long treatments that are customized for the needs of his skin. A facial scrub to exfoliate the skin is followed by pore extractions and a mask for a healthier, younger look. This hour-long treatment cleanses the face and neck, followed by an aromatherapy steam, pore extraction, a high frequency wand to kill bacteria, a facial massage, a mask, and light liquid nitrogen. LED lights provide a warm soothing completion to this facial. 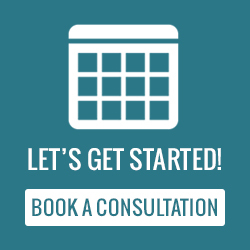 SCHEDULE A CONSULTATION FOR DERMAL FILLERS IN SANTA MONICA AT THE SANTA MONICA LASER & SKIN CARE CENTER! Are you interested in learning more about dermal fillers? During your consultation our doctors will be happy to address any questions or concerns you may have about dermal fillers. Please complete our online form below and one of our scheduling specialists will contact you to finalize an appointment date and time that is convenient for you.